Gayaganda: ICAR-Central Institute of Freshwater Aquaculture under its Tribal Sub-Plan Programme and in collaboration with State Fisheries Department, Ganjam Zone, Berhampur and Gram Vikas conducted the Tribal School Students’ Meet on “Fish as Health Food” at Gram Vikas School, Gayaganda, Ganjam District, Odisha on 24 March, 2018. Total 416 students from four schools namely Gram Vikas Vidya Vihar, UP School and Saraswati Sisu Mandir of Gayaganda, and Ashram School of Rudhapadar took part in the meet. Awareness was created among the students through direct discussions with Scientists and Technical Officers of ICAR-CIFA, and State Fisheries Officers on the theme subject in the morning hours of the day. Dr B.R. Pillai, Head of the Department, APED and Director’s Representative, ICAR-CIFA, Bhubaneswar in her presidential address highlighted the role of fish culture for livelihood development and nutritional security of tribal population of the country, and being the cheap animal protein source, fish should be included in the food menu of all. 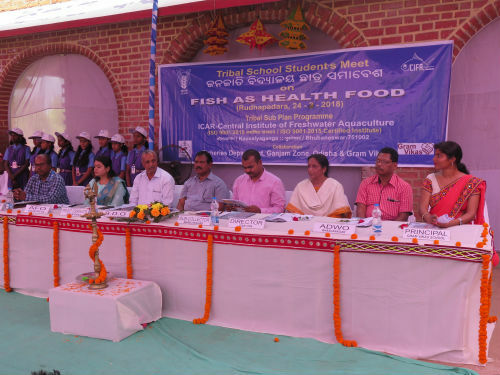 Shri Laxmikant Sethi, Hon’ble Sub-Collector, Bhanjanagar as the Chief Guest of the function inaugurated the meet and applauded the role of CIFA for selecting such a remote place like Gayaganda of Ganjam District for giving the message of “Fish as Health Food” to the public. The awareness created among the school students on the theme subject is praise worthy. He and all functionaries of the function agreed that fish should be included in the mid-day meal programme of the school students. Dr. B.C. Mohapatra, Principal Scientist and Chairman, TSP, ICAR-CIFA welcomed the participants and guests to the function. He highlighted the role of the institute in demonstrating the freshwater aquaculture technologies to the selected tribal population of the country and the aim of the present programme being held for school students. He said that this is the unique programme of the institute being initiated from a place like Gayaganda. Shri Kailash Chandra Murmu, Block Development Officer, Jagannath Prasad thanked CIFA for organizing this unique programme in his Block. He encouraged the students to eat fish as animal protein source to them. Shri S.N. Nayak, Asst. District Welfare Offcer, Bhanjanagar said that such programmes should be organized in many places of the state to pass this noble idea to all. 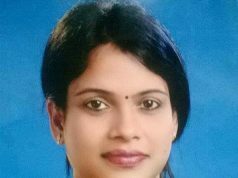 Smt S. Priyadarshini, Asst. 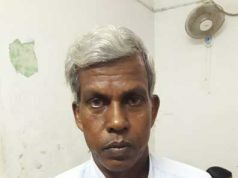 Fisheries Officer, DFO Office, Ganjam said that the department is working hand in hand with CIFA for popularization of freshwater aquaculture technologies in the region. Shri Dayanidhi Mishra, Project Coordinator, Gram Vikas thanked CIFA for hosting the programme at its school at Gayaganda. Dr S.C. Rath, Principal Scientist, ICAR-CIFA coordinated the programme. Ms. Roopa Sharma, Principal, Gram Vikas School at Gayaganda proposed vote of thanks. A leaflet on “Fish as Health Food” in Odia language was released during the meet. The student winners from the schools in drawing and essay competitions were given prizes by the guests of the function. From ICAR-CIFA Dr S.K. Sahoo, Dr B. Mishra, Mr D.P. Rath, Mr. S.K. Mohanty, Mr Bhagwat Das and Mr D. Majhi, and from State Fisheries Department AFO (Digapahandi) and AFO (Purusottampur) acted as resource persons in the Awareness programme.